I was out of town when the weekly press car arrived thus I didn’t know what I had gotten for the week, and boy, was I in for a surprise! 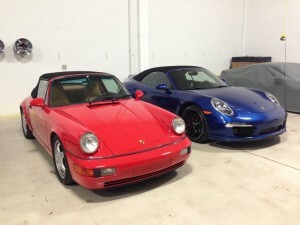 As I flipped the light switch to my warehouse there sat a gorgeous Porsche 911 Carrera 4S Cabriolet in blue metallic with black wheels. I felt as if had hit the jackpot that week! It’s simply gorgeous! Coincidentally, I had been driving a 1994 C2 Cabriolet from my collection all morning and it was interesting using that car as a comparison with the 2013. Best way to describe it is, what a difference 20 years make! The C4S is still uniquely, a 911. Porsche has done a remarkable job staying true to the timeless 911 look, yet staying fresh and contemporary with each re-design cycle. The new car is noticeably larger, both in width and length as well as interior usable space. Inside, you instantly feel special, thanks to the beautiful layout. 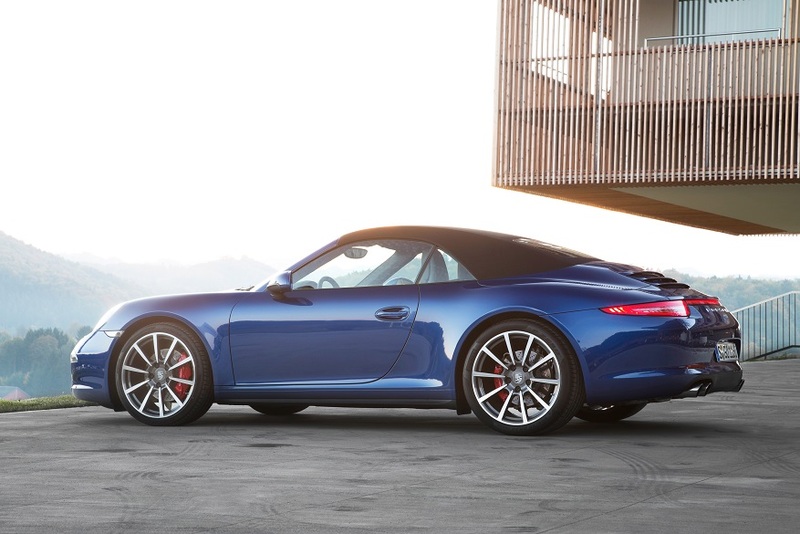 The current 991 (that’s the internal number the factory gives the current 911 model) borrows from the Panamera as well as the previous Porsche Super Car, the Carrera GT. The current model offers wonderful homages to the past, such as the starter on the left side of the dash as well as the oversized tachometer prominently in the center of the very informative instrument binnacle. Being a Porsche purist, I was not all that sure about driving an “automatic” Porsche. While it’s not really an automatic, it’s a dual clutch, seven speed transmission that Porsche calls PDK, which stands for Porsche Doppel-Kupplunggetriebe. I call it: Pretty Darn Quick! So, how did I like it? No, wait…. I didn’t like it, I loved it! Flawless clutch transitions, lightning fast upshifts and glorious down-shifts, making the driver feel like a Le Mans hero, what’s not to like? As icing on the cake, there are multiple combinations that the driver can pick from, offering different levels of performance as well as exhaust sound levels. I went right for Sport+ and was hooked. I can truly say, the new 911 C4 is everything anyone can ask for in an everyday sports car. One major drawback in current double clutch transmissions is the annoying engage/disengage feel of the gear when you are crawling along at a very slow speed. 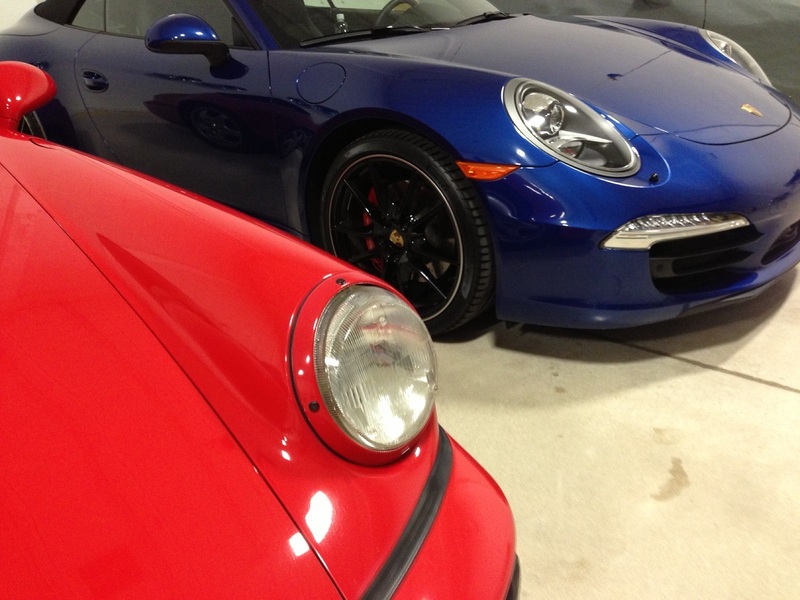 The PDK on the C4S offers the slightest, almost unnoticeable transition. This is tough to engineer, even more difficult to execute. Bravo Porsche! The convertible top is still traditional canvas with a glass rear window with a clever fold design and lightning fast operation that can be done on the fly. Question is, why close it? This is a convertible and it is South Florida, so it is the perfect combination. With the top down there is an electric wind deflector that is a thoughtful feature. However, for me, let’s just say I am follicaly challenged and it didn’t make any difference. The C4 nomenclature means it’s wider in the rear fenders and offers all-wheel drive, but with a twist. During normal, dry conditions, the rear wheels do all of the driving. Throw in snow or slippery conditions and the Porsche Traction Management (PTM) does some nifty, behind the scene tricks that really make a difference not only in handling, but also in safety, by directing the traction to the front or all the way around and using the traction control to manage wheel slip and power output almost seamlessly. Front seating position is excellent, offering easy reach of the various and well placed controls. Rear seats can be used by smaller people, more so, if the top is down. As part of the 991 redesign, the center dash infotainment switches and knobs are bigger and much better positioned as compared to previous generations. This is a nice change that also improves safety as well. Trunk space is limited to small-ish soft sided travel bags. Rear seats fold down creating additional cargo space; however, this is not the vehicle of choice if you are thinking of making a Costco run. Well, if you have a car like this, you probably have a staff to do those tasks anyway. Does it go? How about like a jet fighter with afterburners. Nothing feels quite like a 911 when accelerating through the gears, similarly, it stops just equally impressive. There is no fuss, no muss; it just does it, time and time again with nary a complaint. The exhaust sound is quite literally, a drug for the senses. What an amazing sound! 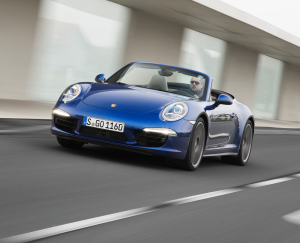 The 2013 Porsche Carrera C4S Cabriolet, there is no substitute! Popular Options: Sport exhaust system, black wheels, Sport chrono package, Porsche dynamic chassis control, Adaptive cruise control with (PAS), Power 14 way sports seats, Premium Package Plus. And may more options.